Cyber Monster is just that, a monster cyber-themed party taking place in the three-tiered Studio Cube 326. The DJ’s include Sisen, Takuya Angel and Chihiro. 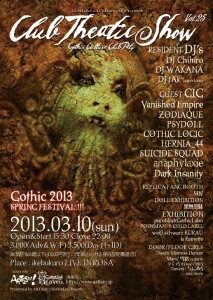 Live sets include Vespa Kumamero, 2Bullet and Cold+Sleep. There will also be special gigs from Soyuz Project and Temple of Tears from Australia. Along with the music and screaming there will also be a bevvy of GoGo-virtual girls including Psydoll’s Nekoi! 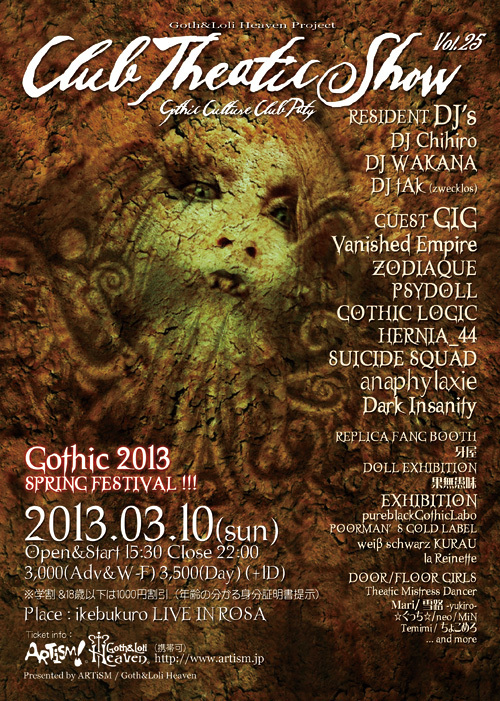 There will also be exhibitions from a few underground artists and even a replica fang booth! Overall it sounds like a fun way to spend your Sunday! Bands: Vespa Kumamero, 2Bullet, Cold+Sleep, Soyuz Project and Temple of Tears from Australia.